The 2017 running of the event includes a number of new features. The service park moved to Torsby airport. This configuration means that more than half of the itinerary has been revamped and the competitors will tackle several brand new speed tests. Following Thursday evening’s traditional super special stage at the Karlstad racecourse, the crews will head across the border into Norway on Friday’s leg. Röjden will be the only stage this season to be contested in two different countries! On Saturday, the highlight will obviously be Vargåsen and the infamous long jump contest held at Colin’s Crest. The rally concludes around lunchtime on Sunday, after the Torsby Power Stage. Rally Sweden has a long history stretching back to 1950. Then it was run during the summer as the Rally to the Midnight Sun. It later became a winter event and has been part of the World Rally Championship since the series started in 1973. Usually the only WRC event run in pure snow conditions, Rally Sweden has been cancelled previously. Notably in 1990 – when conditions were not wintry enough. Snow is key to the event. 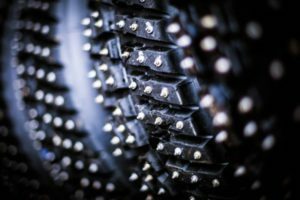 Not enough means drivers cannot ‘lean’ their cars on the snow banks that line the stages, while exposed gravel can rip studs from the snow tyres that provide extra grip. 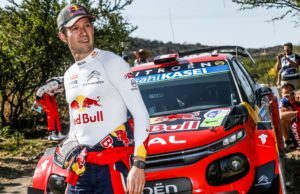 Reigning world champion Sébastien Ogier won his third Rally Sweden last year in an event that has traditionally been dominated by Nordic drivers. 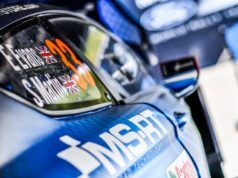 He still has a long way to go to beat Sweden’s Stig Blomqvist, who scored a record seven wins during his career, with compatriot Björn Waldegård and Finland’s Marcus Grönholm next up on five wins each. Almost 60 per cent of the stage distance is new for this year’s Rally Sweden, although the action will once again begin on Thursday evening at the super special stage at Karlstad’s trotting track, which is repeated on Saturday evening. The service park is located in Torsby Airport. The majority of Friday’s running takes place in neighbouring Norway, with the Röjden stage straddling the border, while the next day’s action is based on classic Swedish roads near Hagfors: with the Knon test run for the first time in 14 years. The rally finishes with two repeated stages on Sunday, including the livefor-TV Power Stage at Torsby. Saturday of this year’s event includes the Vargåsen stage featuring Colin’s Crest, named after Colin McRae and scene of an annual jumping competition. Thierry Neuville set a new mark of 44 metres in 2015, repeating the feat in 2016. 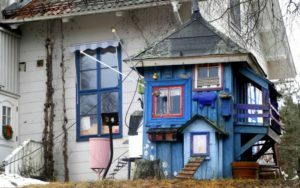 Last year Eyvind Brynildsen set a new record – 45 metres. “I heard that Thierry didn’t believe that the Fiesta R5 could go that fast, but he can join me for a ride if he is unsure!” laughed Brynildsen. He was in fifth gear and travelling at around 165kph when he took off. As the first motorsport event to achieve accreditation from the FIA Institute’s environment programme, Rally Sweden takes its green credentials seriously. 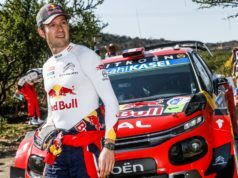 As such, its Rally Guide is only published online and competitors are urged to request the minimum number of printed documents necessary in helping with their preparations.